For a $99 annual fee, Amazon Prime members already receive free 2-day shipping, a video streaming service, the Kindle Lending Library and now (starting today) a new music streaming service. 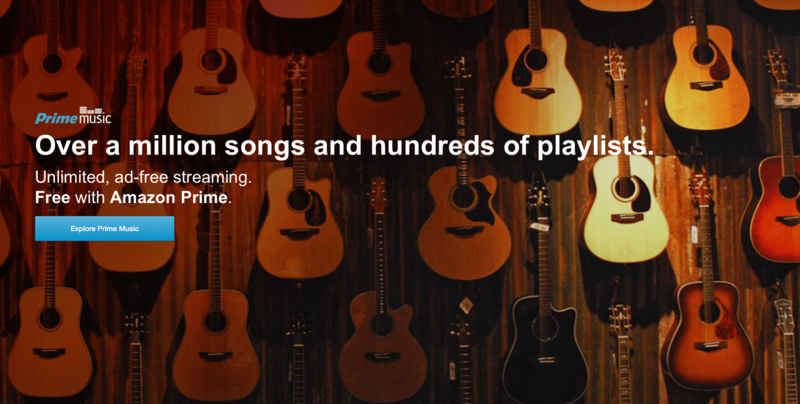 Amazon has launched Prime Music, a new streaming service that boasts a library of over 1 million songs that members can now listen to for free. With the debut of Prime Music – which consolidates the Amazon MP3 Store and Cloud Music Player under the singular umbrella of Amazon Music – users are now able to stream an unlimited amount of music online, in addition to downloading tracks to their devices for offline listening. Prime Music is also ad-free and does not limit the number of skips or repeats that users can have. Is it a Spotify Killer? Compared to Spotify’s robust catalog of over 20 million songs, Amazon’s entry into the music streaming business is downright anemic. In my experience with the service so far, some artists like Silversun Pickups and Vampire Weekend were only available for purchase, while others like Pearl Jam and Young the Giant were available for free…so it has been a little hit or miss for me. Put simply, there are other services that just do it better. However, when coupled with the other outstanding benefits of being a Prime member, it is a welcome addition and extra bonus that continues to add value to Prime –especially considering Amazon’s recent price increase for Prime to $99 (from $79) back in March. Still an outstanding deal for what you are getting, and the best $99 I’ll spend each year. Prime Music takes both a computer-driven and human-curated approach to music recommendation – similar to that of Pandora and Beats Music – and just like the latter, is completely devoid of sharing options. A huge misstep in my opinion, since the ability to share music with others is something that I (and many other music lovers) really enjoy being able to do. Since Amazon already has a ton of data related to its customers’ previous music purchases and preferences, they are able to feed that information into its recommendation algorithm for better results. However, the service appears to be completely unable to distinguish between the music tastes of different household members –for those of you who share an Amazon account. Therefore, be prepared for your recommendations to schizophrenically jump from One Direction and the Frozen soundtrack (kids), to Nirvana (dad) and P!nk (mom). Additionally, in order to distinguish between which songs are available for free or for purchase, the Prime Music app will denote which songs are available through Prime with a small check mark and “P” next to the title and a blue button that allows the user to easily add the track to their library. In contrast, songs that are not available through Prime will feature a yellow button and a price tag. Prime Music’s other approach to recommendation is through human curation, which are available as playlists that are handpicked by Amazon’s music editorial team. At the time of launch, there were several hundred playlists available (between 20 – 50 tracks each) that are catered towards everything from moods to activities, similar to what Spotify, Songza and Beats Music already does. If you’re already a Prime member, Prime Music is yet another great benefit of your membership. However, if you are a Spotify subscriber, I highly doubt that Prime Music will become your primary music streaming service anytime soon. With “only” a million songs, the Prime Music selection of available songs pales in comparison to a service like Spotify, which already includes the ability to save tracks for offline listening, curated playlists for moods and activities, is available on all platforms, along with better sharing options and less likelihood that the song you are searching for won’t be available (as was my experience using Prime Music). It’s an admirable entry into the world of streaming music services, but it’s not quite ready or robust enough to unseat Spotify as my main music app. Then again, if you’re already a Prime member and a music lover, it’s a no-brainer. Prime Music is available on iOS, Android, Mac, PC, and the company’s line of Kindle tablets.